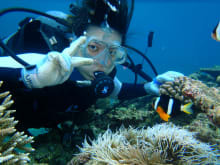 Hi, I am Umi coza and I've been dedicated to offering guests a safe and amazing sea experience for the past 29 years. 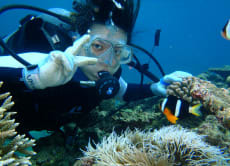 Ishigaki island is world renowned for being a treasure trove of beautiful coral reefs and for being home to manta rays and other rare sea creatures. With years of experience, I can guarantee that my team and I will be able to bring you to only the best diving spots and provide excellant guiding services. Come discover the wonders of the ocean. 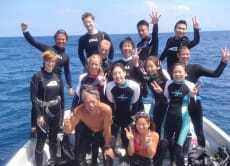 Come dive with us! We snorkeled at two places and saw lots of sea turtles in the first point. Staff were friendly and great. It would've been nice to see the manta rays at the second point, nonetheless had a lot of fun. Our snorkeling guide was Mika, she was very friendly and helpful. The Umicoza team stayed in communication with us from the day we booked our tour. They picked us up from the hotel and also drove us back at the end of the day. We went snorkeling at 2 different points of a coral garden, and saw so many beautiful fish. It was a great experience for my first time snorkeling. After the tour, they served us a really delicious lunch. All the staffs are great and helpful. 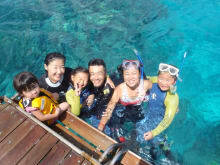 We had a precious day with them and we really have to have a diving lesson after we joined snorkeling. Really highly recommend.